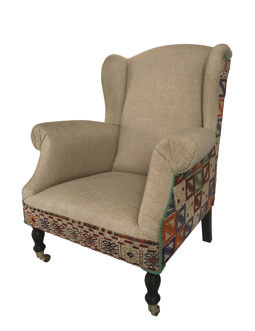 Chair Tuya is a so called wingback chair which style originates from the Queen Anne period (1702-1714). 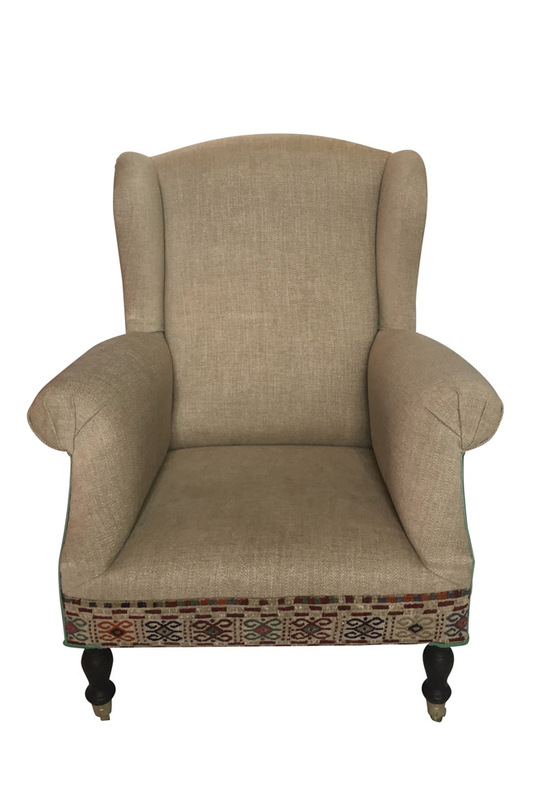 The top of the wingback chair was designed with a graceful curve, making it feminine and elegant. The sides of the chair were curved slightly inward as well, not only for aesthetic value but also to keep the chair’s occupant warm in the drafty, cold houses of the time. 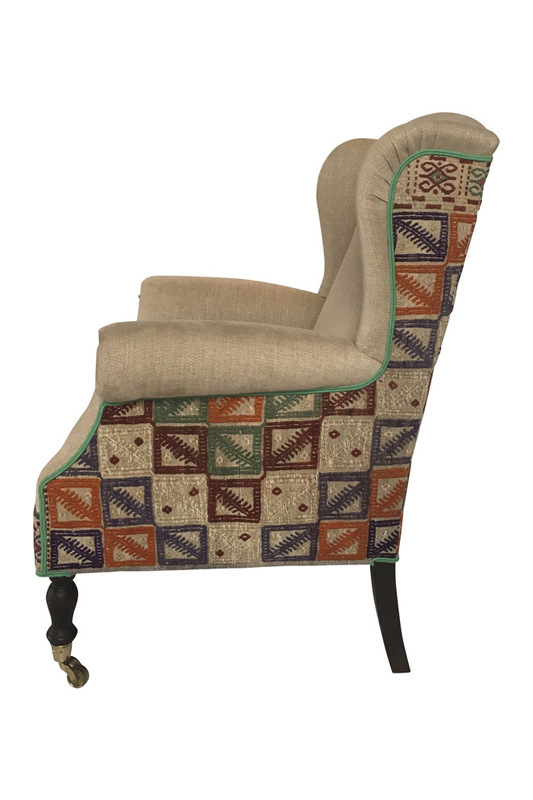 The seat of the chair has been upholstered with a new fabric Aubin Orge from Colefax and Fowler. 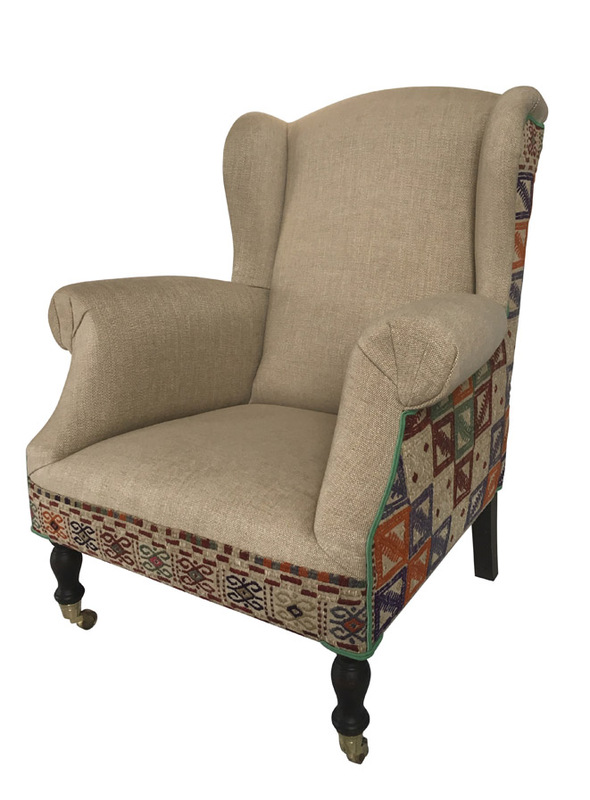 The left- and right side of chair, as well as the back, have been upholstered with an old kelim. The kelim is a good example of specialized and detailed embroidery. 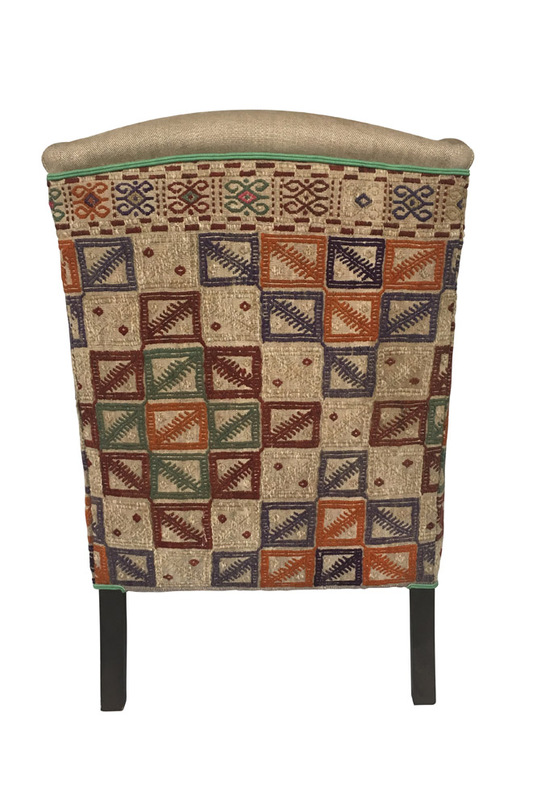 The kelim originates from Anatolia, Turkey and has been embroidered with the cicim technique. 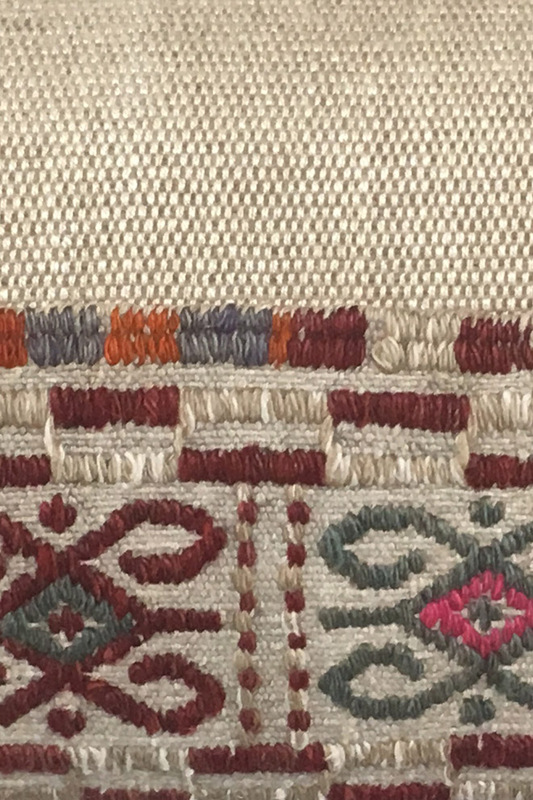 This is a special weaving technique whereby fine wool is embroidered on cotton in vibrant colors in elegant geometric patterns.